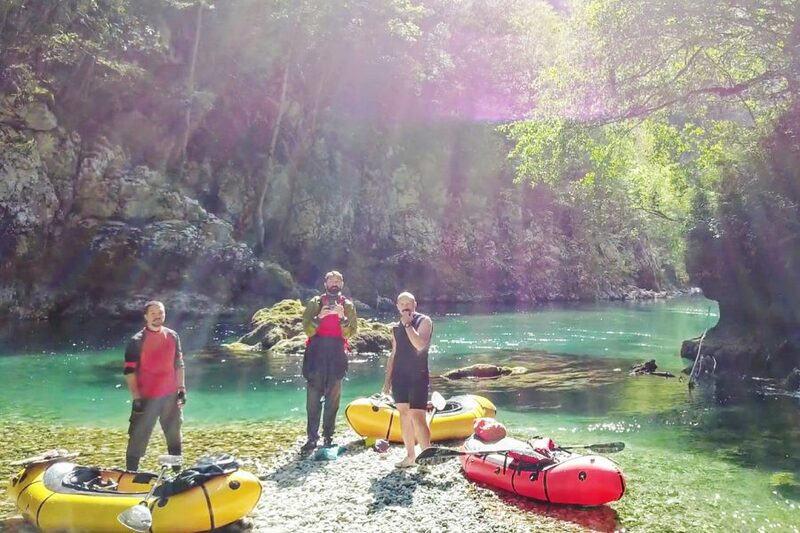 This is a story about a small trip three of my Russian friends (i.e., Ilmar, Il and Dobrusha) and I undertook to a beautiful country of Montenegro in August 2017, where we paddled the famous Tara river. After a short flight from Belgrade, I arrive at the airport of Tivat, where my friends are already waiting for me. 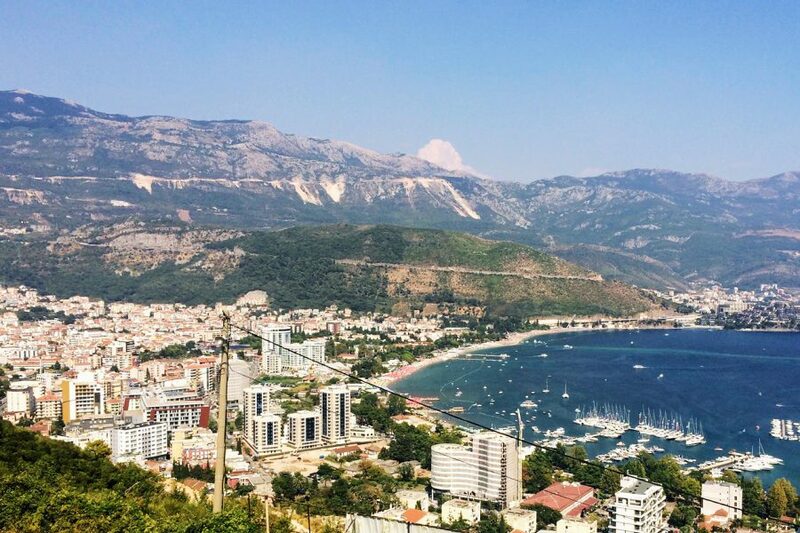 They arrived a few days earlier and spent the time exploring the beautiful and historical Montenegrin seaside, swimming in the salty Adriatic Sea and, on the whole, enjoying the hot weather – it was over 30° there. Before our arrival, we made all the arrangements for the paddling permits in the Durmitor National Park and we found someone who could give us a lift to Majkovac, our intended starting point. It is not really far from Tivat (only 180 kilometers) but on the winding mountain roads it still takes us close to 4 hours to get there and before we know it, it’s getting dark. “Do you have a place to stay?” asks our driver. 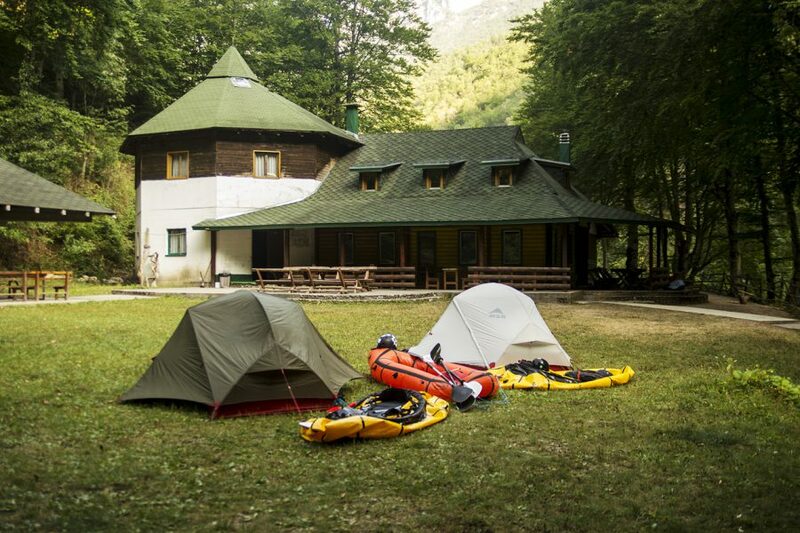 “I have a friend who comes from Majkovac and his father’s house is next to the Tara river.” He makes a call and, yes, it’s possible to put our tents in the garden. “However, there is not enough water in the river. Are you sure you don’t want me to bring you to a different place?” “Neah, it should be fine. 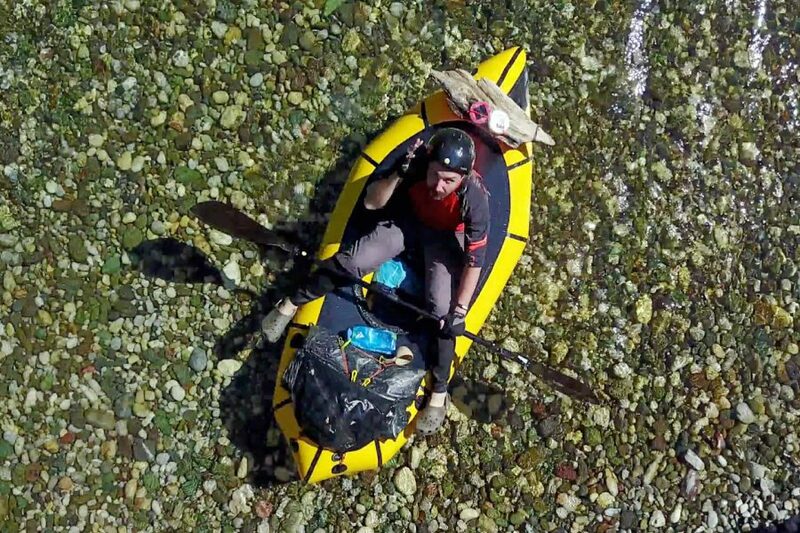 We have packrafts after all – they don’t require much water.” “OK,” he says. “But don’t tell me that I haven’t warned you.” And so, we drive on to Majkovac. The next morning, we wake up to the sound of the river and chattering teeth – it was a rather cold night and my friends didn’t take too much warm clothes with them as they didn’t expect that. We went to see the river and check the level of the water. The scenery was very beautiful, but to our dismay our driver was right – there was hardly any water. Which would mean that we would have to drag the rafts most of the way. On top of that, one of my friends felt unwell. He had been sick in the car the day before and now he didn’t feel any better. What should we do? While we were away, the host and his wife prepared a table in the garden with lots of tasty looking homemade food. Hospitality being an important part of their tradition, they insist that we have a breakfast with them. It’s an elderly couple that have lived here for all their lives. They don’t speak much English but because Russian and Montenegrin are both Slavic languages, we can understand each other a bit. We ask him whether he could give us a lift further down the river and he agreed. And so, after half an hour, we packed our stuff into his old four-wheel drive Nissan and we were on the way to the place he recommended – Dobrilovina. Soon after we left the village, the scenery changed drastically. Instead of the broad river valley we entered the proper mountains and, with it, the Durmitor National Park. Now the river and the road are both going through a canyon, the Tara River Canyon. It is a UNESCO World Heritage Site and is up to 1300 m deep, which makes it the deepest canyon in Europe and the second deepest in the world (after the Grand Canyon). And it is one of the main reasons why we decided to paddle this river. The first part of the canyon is the so-called Devil’s Canyon, which until recently has been closed for paddling due to its difficulty (Class IV and V). Now it is possible to paddle it, but you need to have a special permission. 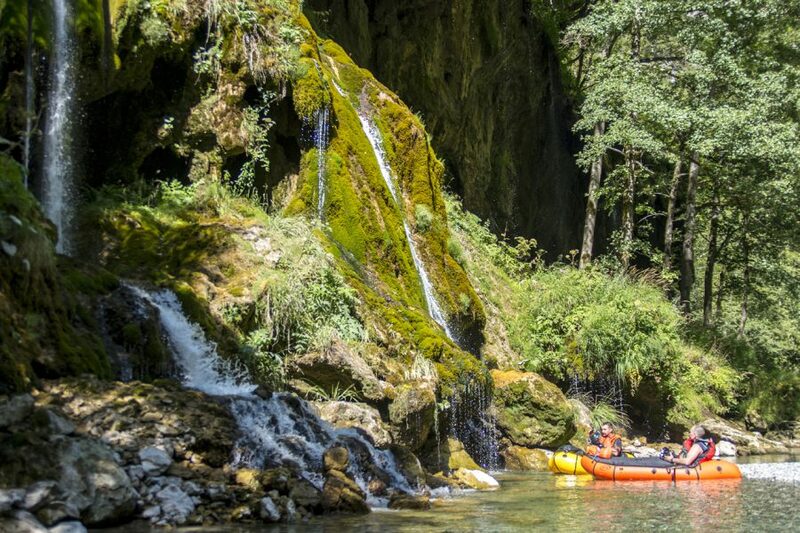 As we were originally planning to start in Majkovac, everyone told us – “Please get out of the river right away once you see that you are approaching the canyon. Later there will be no way to get out of it and it is just too dangerous.” We asked our host to stop so that we could see for ourselves what this was all about but we couldn’t see anything behind the trees. We only heard the roaring water. Someone said that the river has eyes and ears and that was true – soon after we arrived at the new starting point, two National Park rangers appeared and checked that all our papers were in order. They also wanted to witness us on the water – it seems to us that they did not trust our ‘inflatable toys’ – packrafts. However, it took us a lot of time to get ready so their patience ran thin and they left. The friend who felt unwell in the morning, did not feel any better. He did not have any warm paddling clothes with him either which is why I gave him my Mont-bell neoprene top and shorts that I got in Japan specially for this trip earlier that summer and put on my dry suit instead. Even though we were in the South-East of Europe, the water was rather cold as we were high up in the mountains and the sun did not visit the canyon for very long each day. Still the water was amazing and so transparent that you could see every single stone on the bottom clearly even at its deepest place (around 15 meters). After what seemed like an eternity, we finally got onto the water. And immediately we were confronted with the rapids. 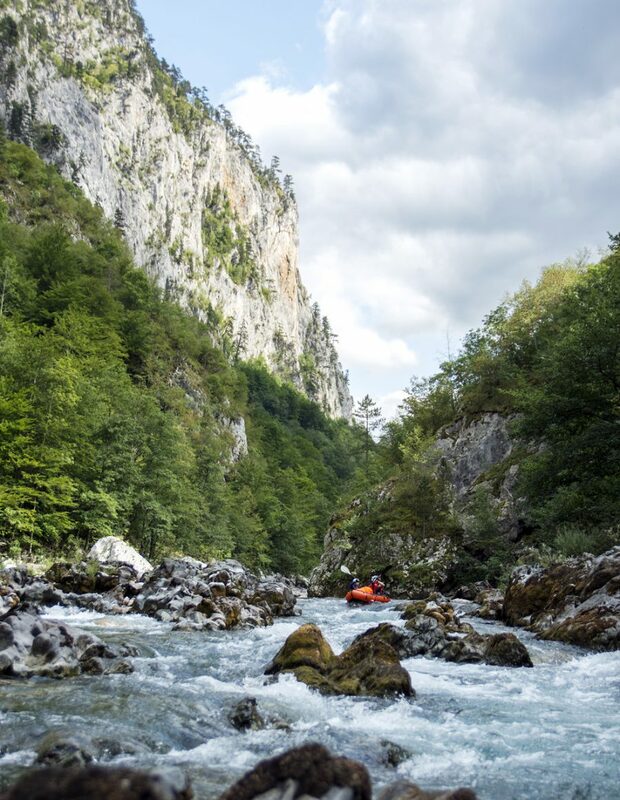 The section from Dobrilovina to Splavište that we set our mind on for that day is categorized with rapids class III (III+), though at this water level they were significantly easier. Nevertheless, for my friends who had limited experience on white water that was a challenge. This was especially true for the friend who did not feel well – at the first more or less serious rapid he was pushed against a stone wall and capsized. And this repeated several times that day. However, he was not the only one – feeling indecisive, I ran onto a stone and went for a swim as well. On the whole, partially due to the nature of the river and partially due to the water levels, there were not a lot of rapids that needed to be scouted in advance as most of them were quite easy to see from the water. And only once we had to portage our packrafts around the stone blockage on the river, which, at a higher water levels, we think, could be passable as well. Otherwise, the pace was fast and there were not a lot of places where we had to pedal hard. Moreover, we were also the only ones on the river. That gave us a real feeling of being on an expedition. Feeling worse and worse, our friends decided to stop and get a lift to the nearest camping place where he wanted to wait for us. “It would be easier for one person than for four people,” he said. 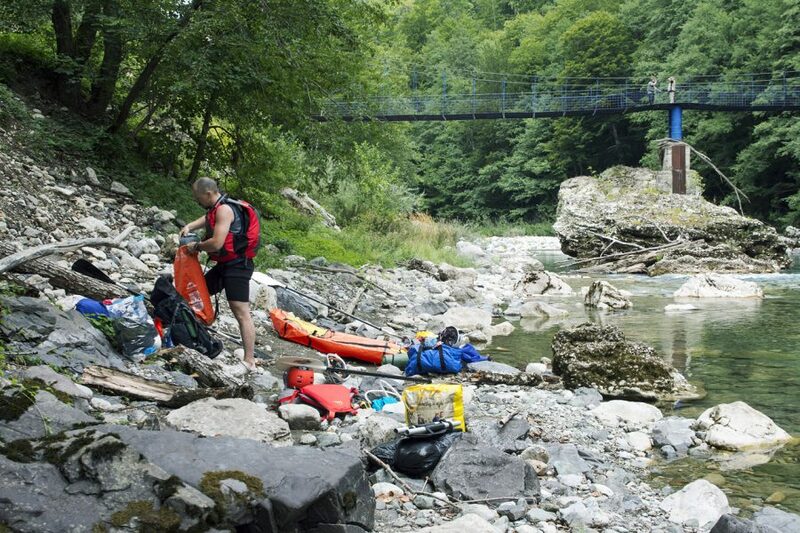 And so, we stopped next to a footbridge and a short climb to the road that was going above the river, packed his stuff, and he started to walk in the direction of the camping, hoping to stop a car on the way. As it was getting late, we set off on the river as well. But we did not get too far – it quickly became dark and we could not see what we were paddling anymore. To stay safe, we decided to step out and walk along the road as well. To our surprise, soon after we stopped, we heard our friend from above. It turned out that there were almost no cars and he had to walk all this time. We quickly joined him and already in the complete darkness, we walked for another hour until we reached Splavište, the starting place for commercial rafts. There was some kind of shelter and some roofed-over tables there and as we did not know how far we still needed to go to the official campsite (there was no telephone reception there), we decided to stay there for the night. The next morning the rafting company operators and their clients started to arrive. We asked one of the operators if they could take our friend to the nearby town (he still felt awful and decided to stop the trip) and they agreed to take him to Đurđevića Tara Bridge, from where he could get a bus back to the seaside. We, on the other hand, decided to continue the trip. 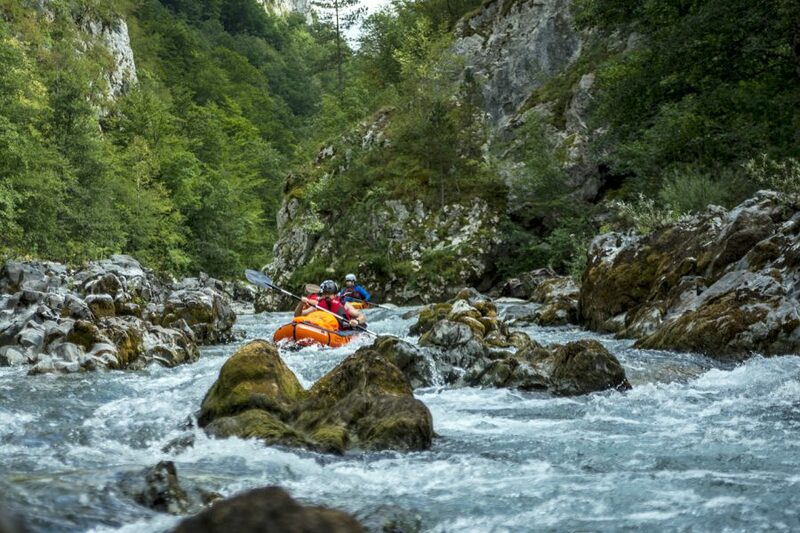 The second day was significantly more exciting for us – some rapids were Class II but mostly Class III, the water level was higher (it’s no wonder the rafting companies started their operations there), we had fewer stops, the pace was really good and the scenery was very beautiful. We passed under the Tara bridge that was towering above us at 172 meters and under which a series of nice rapids was located. All in all, we covered over 22 km from Splavište to the camping at Radovan Luka that day (compared to just over 15 km on the previous day) and had just a few stops during which we had some food, enjoyed the sun and skip stones, of course. One of my friends is really good at it – on a number of occasions he managed to skip a stone to the other side of the river – and he taught the rest of us how to do it. According to him, the stones in the Tara were very suitable for this purpose as they were a lot of them ‘just the right shape’. 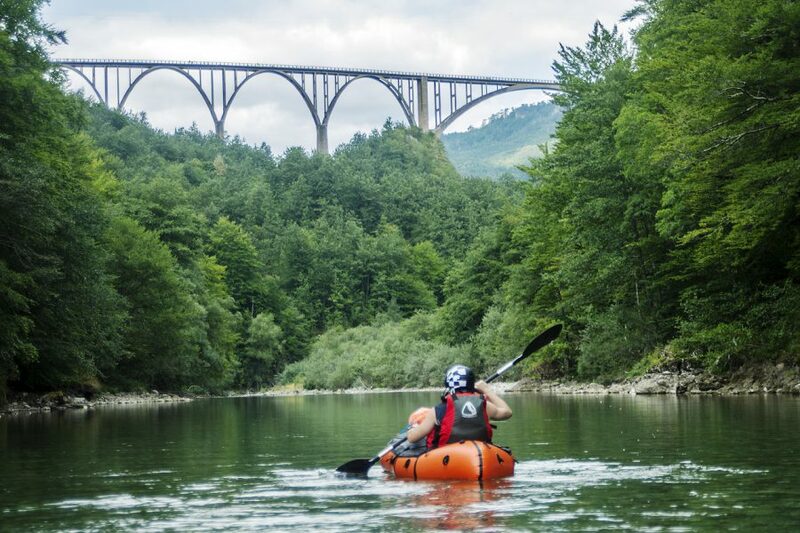 Unlike the previous day, we were not the only ones on the river as we had to share it with the commercial rafts and after we arrived at the Radovan Luka camping, we were joined by a large group (>15 people) of Czechs, who were paddling inflatable double kayaks. We set up out our tents, ordered some tea from the caretaker, a kind man in his 50s who always seemed to be deep in his thoughts, and finished the day watching the shadow slowly creeping up an 800-meter rockface on the other side of the river and listening to running water and the Czech singing long lovely songs. This night was the coldest. My friends had to wake up several times and put more and more clothes on. Their summer sleeping bags were just not sufficient for the job. Eventually they slept with all their clothes on and one of them even had his back pack around his lags. “Up in Žabljak it was around 0° this night,” told us the caretaker. “This means that it was around 4° here.” But luckily for us, this day turned out to be a very warm and pleasant one with some nice Class II-III rapids along the next 23 km. Moreover, it was the day when we saw the most beautiful part of the Canyon. Already on day one we saw some small streams coming down the canyon walls. The water was really cold and tasted very nice. But this was nothing in comparison to what we saw on this day. About halfway through the day, we came across the truly magnificent sight a waterfall cascading through the tree routes and thick dark green moss. It was something unreal as if from a fairy-tale or a movie set about elves. “This is the most beautiful thing I have ever seen,” gasped one of my friends. “It might also mean that I have not seen a lot,” he laughed afterwards. We stayed there dumbstruck for a while, before reluctantly continuing on our way. Later that day we say a number of other places that looked like they might be very beautiful too should there be more water (they were dried up), but nothing compared to that waterfall. Not far from this place we crossed the border of Bosnia and Hercegovina. Actually, we must have crossed it dozens or even hundreds of times as the border between the countries goes through the river and until the end of the trip the left side was in Montenegro and the right side was in Bosnia, which is a strange and interesting experience, if you think about it. 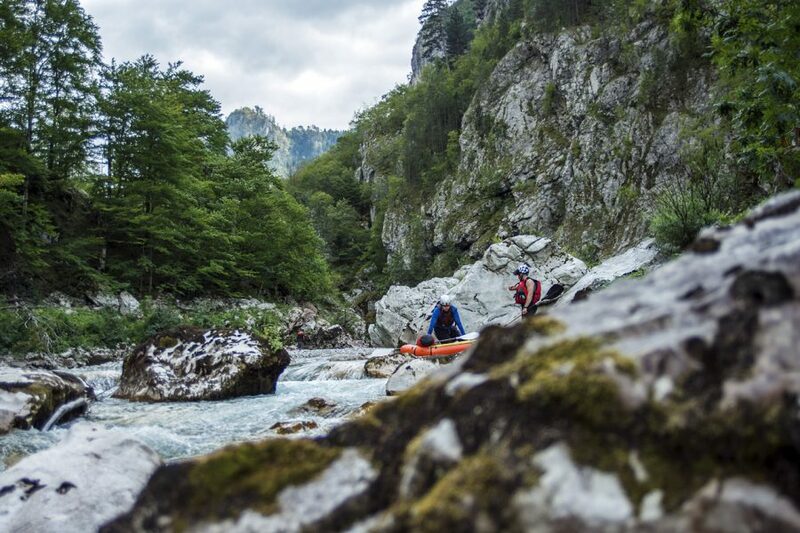 We even stayed at the rafting camp Encijan on the Bosnian side, where we had a chance to get some nice and warm dinner – the first proper dinner we had in the last four days. At this camp we also met a Slovak woman who had been coming to paddle this river for many years and used this camp as her home base. According to her, even though the water was not as clear further down as there had been some construction going, this was a very nice part with Class III-IV rapids. In addition, as it was already outside the National Park, there was no necessity to get any paddling permits. “And Bosnians do not care much about them anyways,” she said. And indeed, there were a lot of people and rafts starting from that area. With the pick-up time arranged, we started the last 12 km of our four-day trip, which went really fast. Even though the water was not as clear as we were told, the repids were a lot of fun. We also had to dodge the big rafts which added to the excitement. And before we knew it, we saw the car bridge, which is the official border crossing and the place where we had to step out. At a short distance we saw the Tara joining the Piva river and continuing into Bosnia and Hercegovina as the Drina. Packed and ready we went up the hill and away from the river, where our driver was waiting to take us back to on a three-hour journey to Budva, a resort city on the coast. The car sped through the winding mountain roads and onto the straight roads over the plateau, the mountain tops of the Durmitor National Park reminding us of the four wonderful days that we spent on this beautiful river, with all the ups and down that go together with any adventure. Before we said goodbye to our driver, we asked him how to say “very beautiful” in Montenegrin. “It’s mnogo lepa,” he replied. 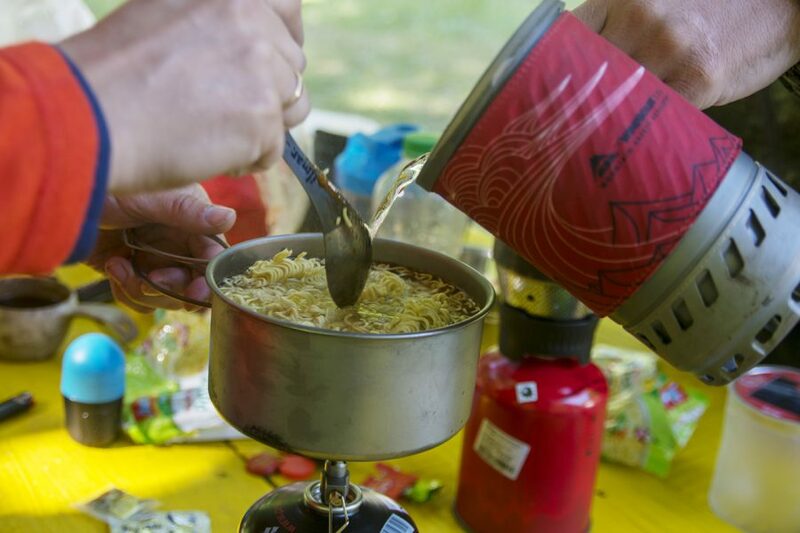 ■ In the National Park you are allowed to camp only at the official camping places. Moreover, there are not a lot of places to put up a tent in the canyon anyways. If you want, you could try a hammock. 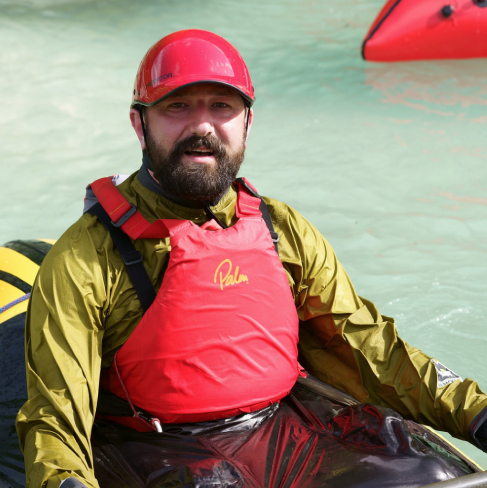 ■ What you can paddle and how fast you can go will depend on the water level. Please ask the locals for advice. 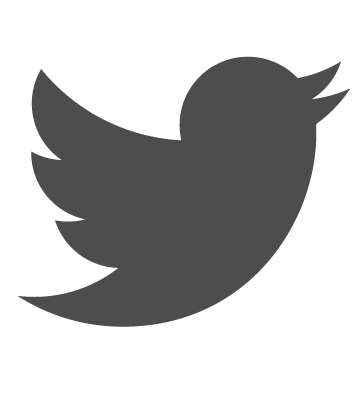 ■ The mobile reception and the Internet are not available everywhere. Download the maps and save the points of interest on your GPS or mobile phone in advance. ■ The temperature on the river can be very cold at night even during the height of the summer. Take extra warm clothes with you. Do not get fooled by the temperature at the seaside. ■ Make sure to arrange all paddling permits in advance. You will need to have permissions to paddle in the National Park. Alternatively, you can start later, on the Bosnian side, where they do not require permits. ■ You can travel to some starting points by bus from the seaside or the capital of Podgorica, but it is easier if you arrange a transfer by car. It is going to be more expensive, but as it is faster and less troublesome, it might be worth it. 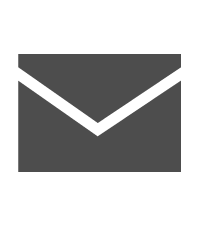 This way, you can get useful tips and local knowledge from the driver as well. And the more people travel with you, the cheaper it becomes. 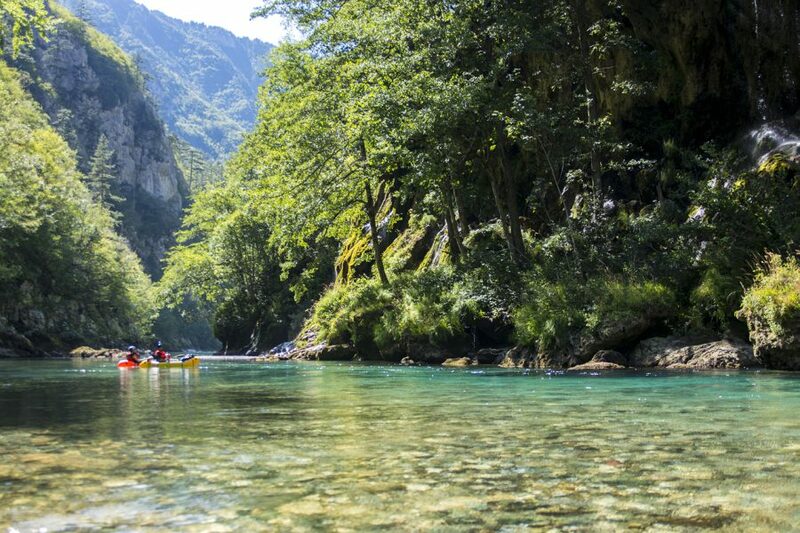 ■ While it is relatively easy to get out from the river in the first part (due to the proximity to the road), later on it becomes more and more difficult to do it as you can do it only at certain points there. ■ Introduce the river: The Tara river is unique as it flows through the world’s second deepest canyon, which was designated as a UNESCO World Heritage Site in 1980. It is a proper whitewater river with rapids ranging from Class II up to Class V (better to avoid this part!!! ), extremely clear and transparent water and with very few signs of human activities. A large section of it goes through the Durmitor National Park. 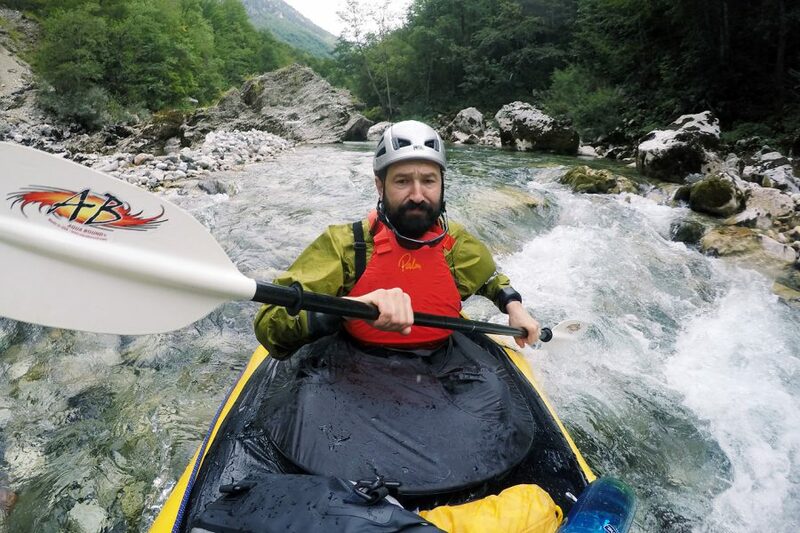 ■ We chose this river, because it offered us a multiday trip through the unique scenery, with great whitewater experiences and the ease of accessing it – Montenegro does not require Russian to have visas, which was an important point for my Russian friends. 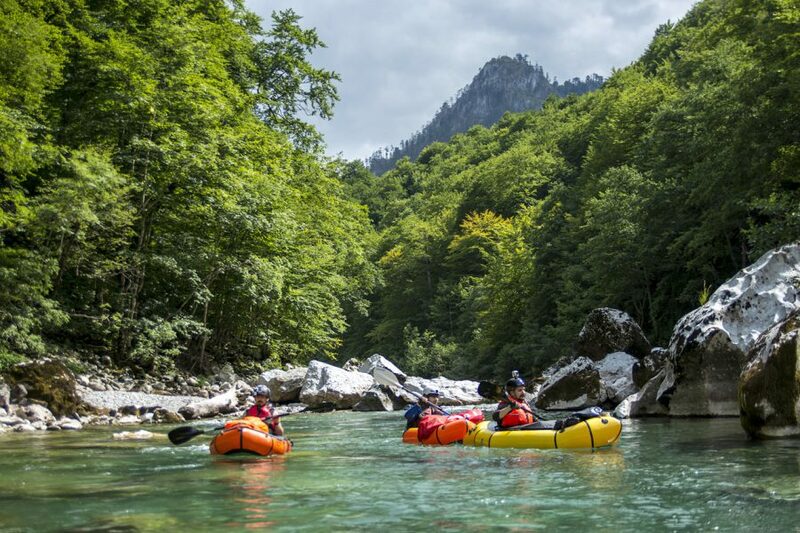 ■ Points of impression: The river offers a great whitewater experience through a unique environment with the great scenery of towering canyon walls, transparent water and fairytale-like waterfalls. All this was special for us. The paddling season is also long and you can paddle it even in summer (as did it at the end of August). There are different sections that have different levels of difficulty suitable for people with different levels of experience. What you can paddle would also depend on the amount of water. We were happy that we paddled it at the levels below average. It is possible to paddle almost all sections one after another, which would take several days. Or you could try to paddle only certain sections (please note that getting to some of them might be difficult without a car). ■ Points of attention: It is advised to avoid the section of Class IV-V rapids between Kaludra and Dobrilovina (aka the Davil’s Canyon). 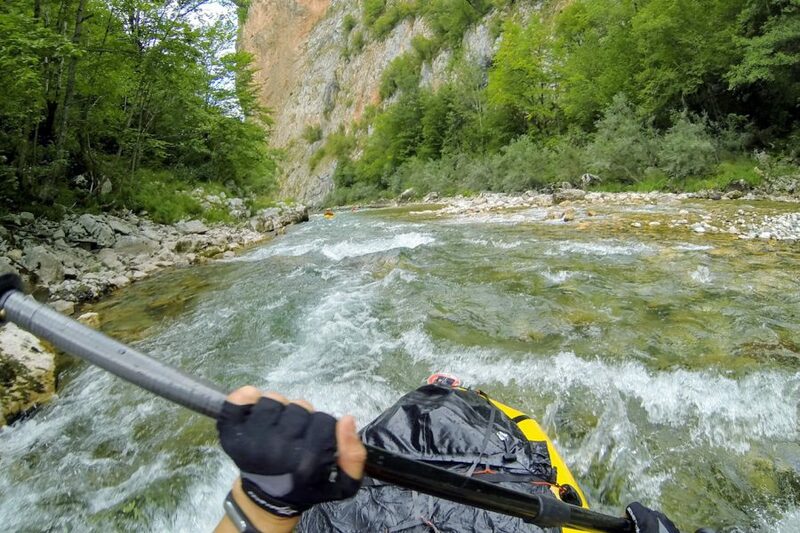 In addition, some rapids between Dobrilovona and Splavište and between Brstanovica and Kamp Grab might require scouring. Much will depend on the water levels. ■ Who do you want to recommend this river? At the low water level, some parts (not all!!) of this river can be paddled even by a relative beginner. 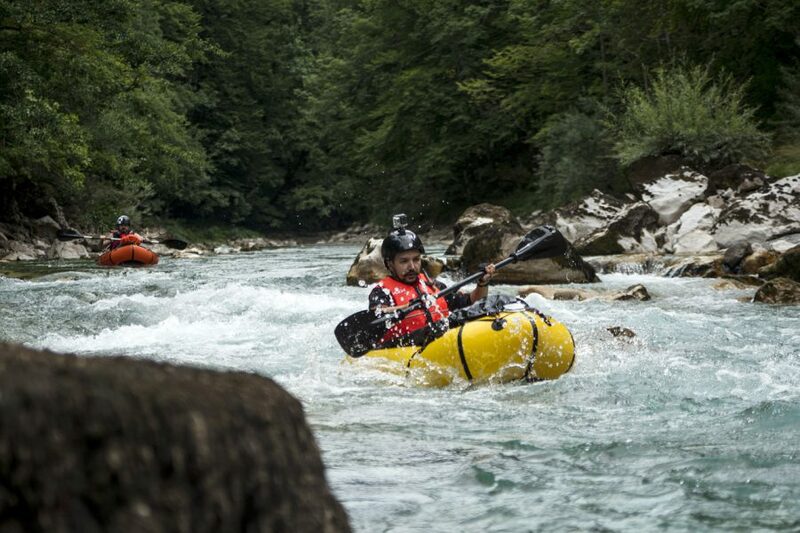 If the water levels are higher, then previous whitewater experience is necessary.